Zachery Carr is a graduate from the University of Connecticut with a bachelor’s degree in Horticulture. In addition to his college education, Zachery has nearly 10 years hands on growing experience in both retail and commercial industries. Since 2011 Zachery has worked for Growers Supply specializing in greenhouse design and sales, which has furthered his extensive industry experience and knowledge base. “Sales can be a complicated puzzle. All of the pieces have to fit. I enjoy getting to know each customer, learning about their goals and teaching them about our product. If all of the pieces fit you have a solution, and that is what I am all about. Will Kacheris gained his bachelor’s degree in Agricultural Operations Management from the University of Florida with a focus in production systems. 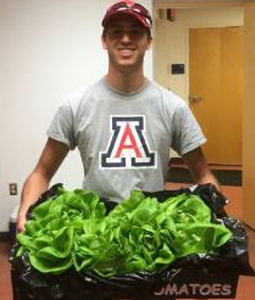 From there, Will studied at the University of Arizona graduate program to attain his master’s degree in Agricultural and Biosystems Engineering. His thesis research focused in high density hydroponic systems and developing new economic models for the new industry. Before and during college, Will worked at several commercial greenhouses over eight years growing hydroponic, aquaponic and soil based vegetables, fruits, and ornamental plants. With Growers Supply, Will has been involved in projects ranging in size from the hobby level to full commercial build outs.